The Great Lakes are changing so fast that the agencies which manage fishing cannot keep up with the changes. Some types of fish populations are collapsing and others are thrivingâ¦ at least for now. 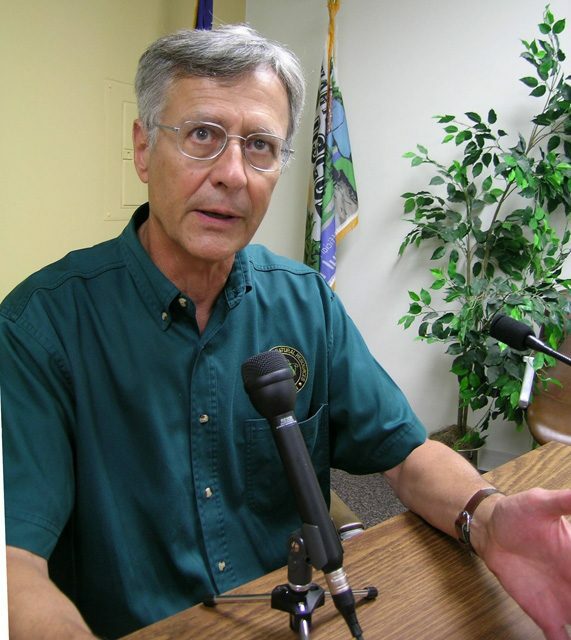 In a project between The Environment Report and Michigan Watch, Lester Graham has a series of reports on whatâs happening and why. The Environment Report in a collaborative project with Michigan Watch is looking at salmon fishing on the Great Lakes. Salmon fishing has meant a lot of tourism dollars for cities along the coasts. But, changes in Lake Huron have caused a collapse of salmon. In the final report of the series “The Collapse of the Salmon Economy,” Lester Graham looks at what happened and whether other lakes will lose their salmon. 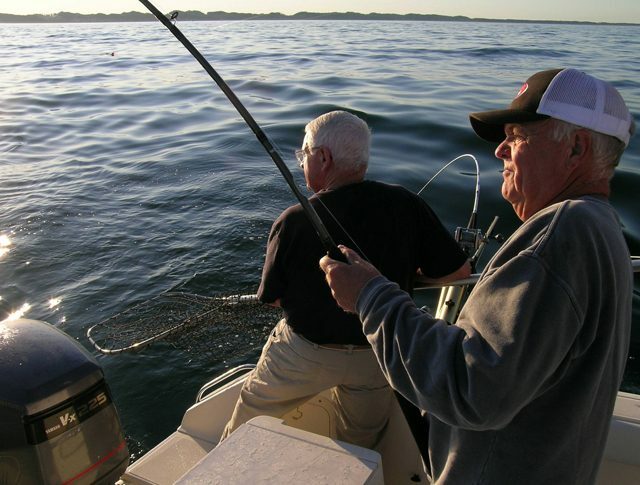 Fishing for salmon on some parts of Lake Huron is still a big deal. But for most of the Lake Huron port cities, salmon fishing has collapsed. Blame it mostly on zebra mussels and quagga mussels. They were brought into the Great Lakes in the ballasts of foreign cargo ships. Quagga mussels now cover most of the bottom of Lake Huron… filtering out the algae and plankton which are the base of the food chain. That’s caused the collapse of alewife, a fish that salmon eat. The Michigan Department of Natural Resources continues to put about 1.4 million small chinook salmon into the lake each year, but last year. 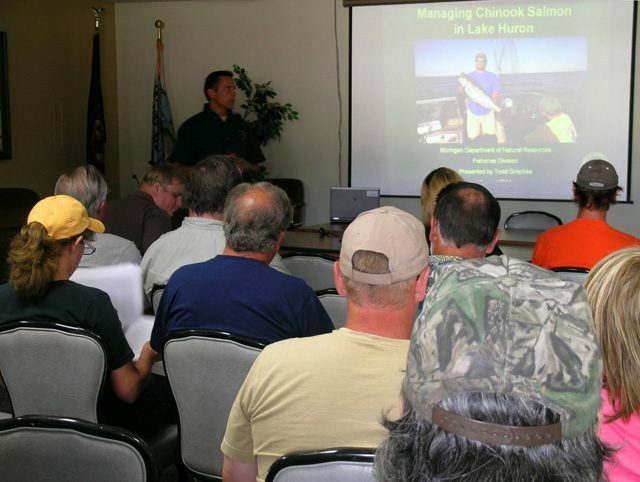 But, last year only a thousand chinook salmon were caught. Considering the cost of raising all those salmon, that comes to about $475 per fish caught. The DNR is now proposing to dramatically reduce the number of salmon it releases into Lake Huron because there’s no food for the fish. When the salmon started disappearing, so did the charter fishing boats and with them tourism dollars for the communities along Lake Huron… about a million dollars for each port city. 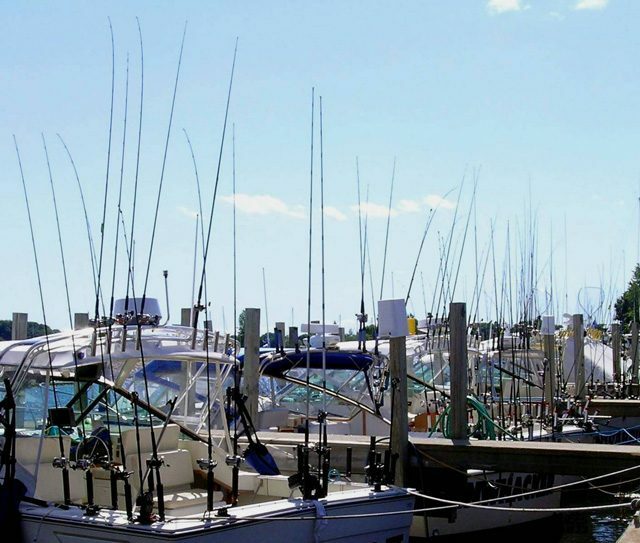 Many charter boats moved to Lake Michigan where salmon fishing is still good. C.J. 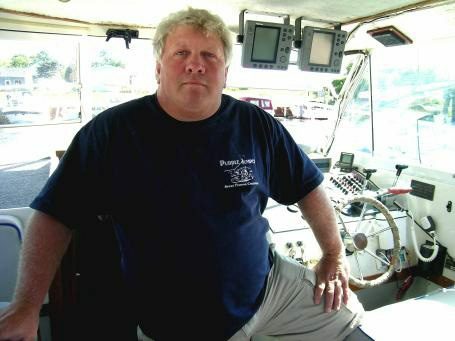 Baker operates a boat for Puddle Jumpers Charters. He moved from Alpena on Lake Huron to Ludington on Lake Michigan. He’s angry that the government hasn’t done more to stop invasive species such as zebra and quagga mussels from ruining the Great Lakes. Back along Lake Huron, the restaurants, motels, and other businesses that relied on salmon fishing tourism couldn’t just pull up anchor and move. Russ Wellman operates Wellman’s Bait and Tackle in AuSable. He says while many other bait and tackle shops went out of business, he’s changed the emphasis of his store, turning it more into a party store, offering snacks and whitefish sausage… and fishing lures for other fish still in Lake Huron. He says, of course, for the DNR to continue stocking a million salmon a year makes no sense. In fact, since the disappearance of alewife and salmon, other native fish like walleye are doing well, eating those little hatchery raised salmon. 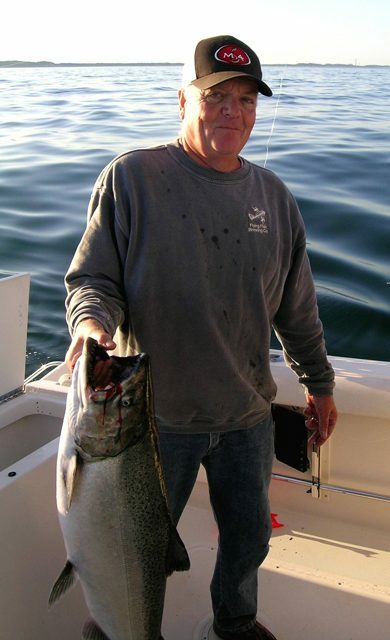 Jim Johnson is a biologist based at Michigan’s Alpena Fisheries Research Station. He says the small towns along Lake Huron have been hurt, collectively losing tens of millions of tourism dollars. Now the worry is whether we’ll see the salmon fishery in other Great Lakes collapse. Johnson is quick to stress Lake Michigan is different from Lake Huron. In fact, this year there were more alewife in Lake Michigan and the salmon fishing has been good. But fisheries experts are concerned. 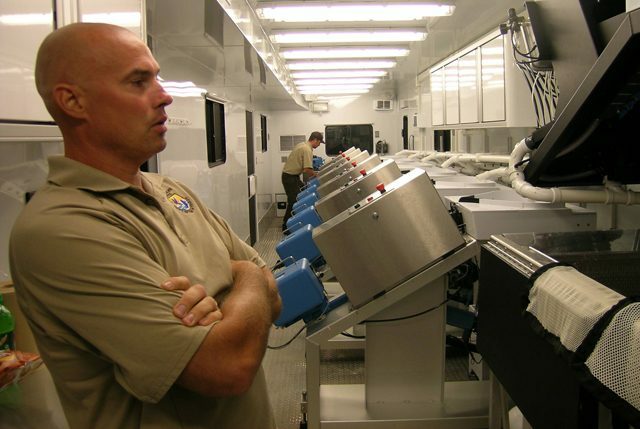 Mark Gaden is with the Great Lakes Fishery Commission which monitors fishing across the Great Lakes. They’re worried that the Pacific salmon that helped make the Great Lakes a world-class fishing spot might disappear. 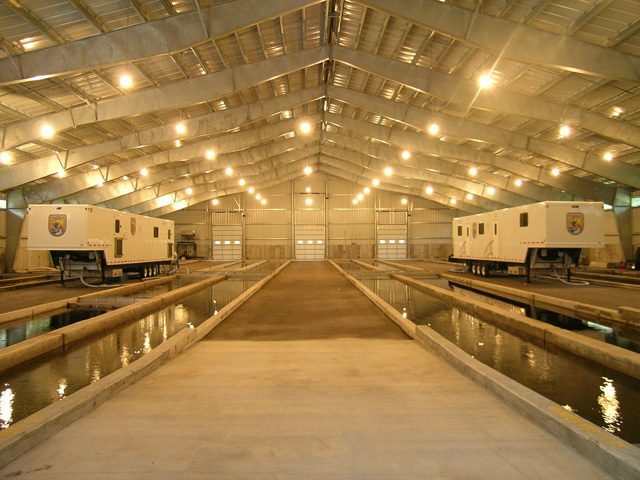 This series “The Collapse of the Salmon Economy,” was reported and produced by Lester Graham and Bridget Bodnar in a collaboration of Michigan Watch and The Environment Report. The Great Lakes are changing so fast that the agencies which manage fishing cannot keep up with the changes. Some types of fish populations are collapsing and others are thriving… at least for now. It used to be the lake trout was the fish to catch. It was big. It was tasty. But, by the late 1950s, that fish and others had been severely over-fished. 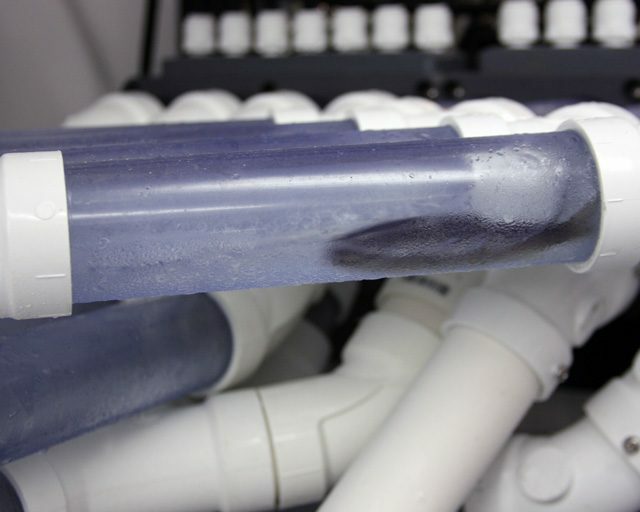 And an eel-like, blood-sucking parasite called the sea lamprey further reduced lake trout numbers. And those weren’t the worst problems for lake trout. A fish called the alewife invaded the Great Lakes through manmade canals. Lake trout starting feeding on alewives. But alewives caused a thiamine deficiency in lake trout. A lack of vitamin B1. Mark Gaden is with the Great Lakes Fishery Commission. Catching a lake trout became rare. With not enough lake trout to keep the alewife in check, the invasive fish population would grow to immense proportions and then a food shortage or a harsh winter would cause the alewife population to crash. 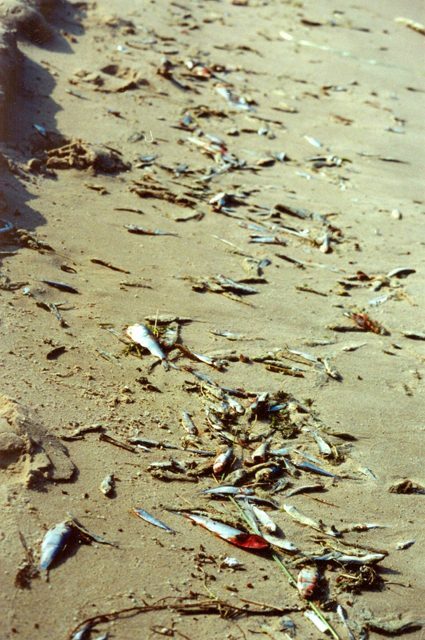 In the 1950s and 60s, dead alewives washed up on the beaches of the Great Lakes in piles stretching miles along the coasts. The Michigan Department of Natural Resources had no idea what to do. 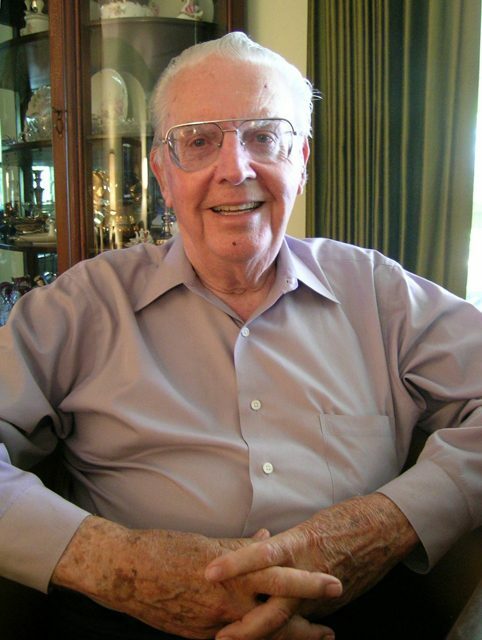 In 1964, the agency hired a Michigan native, Howard Tanner. He says right after he was hired, the Director of the agency, Ralph McMullin, a wildlife biologist and his deputy, a forester, met with Tanner. Tanner introduced Pacific coho salmon. His successor, Wayne Tody, introduced chinook salmon a little later. 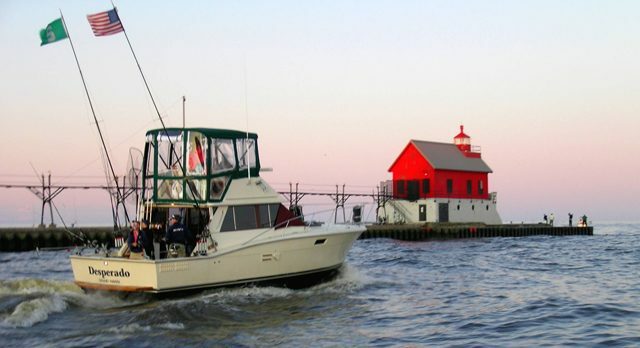 Over the course of just a few years, Michigan anglers rediscovered the Great Lakes. People from out of state started coming to the Great Lakes. Salmon fishing caused a boom in tourism. And… suddenly dead alewives were not washing up on the beaches. Howard Tanner says it was just a cycle of boom and bust for the alewife, but people assumed it was the salmon. It’s sunrise on Lake Michigan near Grand Haven. I’m on a salmon fishing boat with former Michigan fisheries chief John Robertson. He remembers when fishing just wasn’t that great on the Great Lakes. But now, a couple of generations of anglers have been catching Pacific Salmon on the Great Lakes. Communities along the coasts have become dependent on salmon to attract tourists and their money. Tomorrow, Lester looks at the growing cost of stocking salmon in the Great Lakes. I’m Rebecca Williams. Special thanks to Bridget Bodnar for her research assistance with this series.